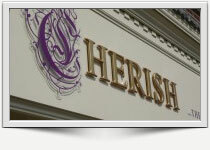 At Sign FX Sign Makers we manufacture in house custom made signs for all types of businesses. We have a passionate and flexible attitude to creating brand awareness and utilise the latest technology, enabling us to create stunning signage at cost effective prices. Design to installation we offer a wide range of vehicle graphics for cars, pick ups, vans and minibuses. We offer a professional design service ensuring your corporate image is consistent throughout your vehicles. See your finished vehicle before we manufacture. 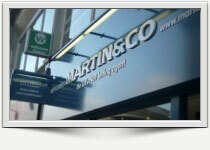 All your display products branding must be consistent and a true reflection of your business. Our in-house design team will work closely with you to develop a range of initial ideas to help you find your perfect design solutions, educating and informing customers. 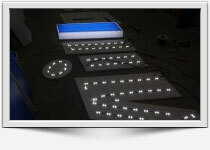 Sign Makers of Shop Signs, Retail Signs, Industrial Signs, Illuminated Signs. 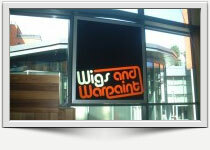 Internal and External Signage Panels, Retail Fascias, LED Illumination, Sign Track Lighting, Built Up and Flat Cut Lettering, Illuminated Menu Boxes,Vinyl Graphics, Banners, Window Graphics, Exhibition Displays, Large Format Digital Printing, Roller Banner Stands, Clear Perspex Signs with Chrome Studs, Illuminated Circular and Square Projecting Signs. Design, Manufacture and Installation of all types of Vehicle Graphics, Decals and Livery. We design and print Large Format Digital Vinyl Graphics enabling us to apply high quality photographs and text effects to your corporate vehicles. Our standard 7 year Vinyl colour range is a more traditional way to sign up your vehicles using text and logos and our Highly visible reflective range makes you safe whilst working on the Motorway at night, not forgetting Vehicle magnetic signs available in a wide range of sizes to suit all vehicle types, great when your vehicle is used for other purposes and your signs need to be removed. Logo Design, Branding and Corporate Management, Advert Design, Brochure Design and Print, Flyer’s, Posters, Business Cards, Letterheads, Compliment Slips, Leaflets, Invoice Pads. Copyright 2013 – Reproduction of any part of the contents of this website, without prior written consent is strictly prohibited.